LEGO has launched a new Architecture line and I have to note that they are pretty impressive. 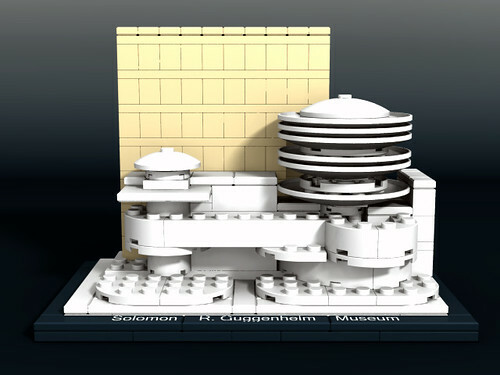 I was impressed by this model of the Solomon R. Guggenheim Museum that I just "had" to model it! I had to create 6 new bricks I hadn't modeled yet, plus one new color.